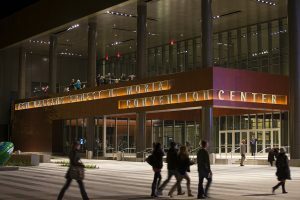 The Ernest N. Morial Convention Center will be our home for the 2018 event. Our exhibit floor will be in Hall D of the center. We know you have many options when booking your stay in New Orleans. That’s why the CLEAN GULF show management team has worked with MCI Group to secure the best pricing for your favorite hotels. Stay within our block for discounted pricing and other perks! Visit our online portal to see all 7 hotel options with a range of prices and remember to book your room by October 22, 2018 to secure these discounted rates. Contact Dana Ronan at dronan@accessintel.com with any questions. 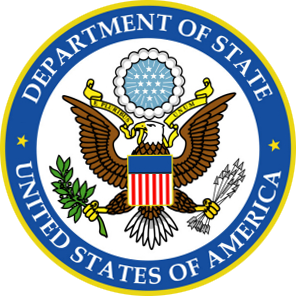 NOTE: The hotels require a deposit equal to one night’s room and tax to hold accommodations. Your credit card will be charged when reservation is made. Deposits are refundable if accommodations are cancelled by the hotel’s listed cancellation policy. Forms received without a form of payment will not be processed. To take advantage of special CLEAN GULF hotel rates, be sure to book your reservations no later than October 22, 2018. Hotel requests received after this date will be processed based on availability and rate. We cannot guarantee discounted rates after this date. BEWARE of Housing Scams – we have received a number of complaints regarding calls many of you are receiving from companies claiming to be the official housing company for Clean Gulf. Those are scams. Plenty of rooms are still available and you will not receive calls concerning this. Do not be sucked in. Typically they require that you pay for the full stay upfront and there’s no guarantee you will have a reservation when you show up. If you’re arriving to the city by plane, you will arrive at the Louis Armstrong Airport. For more information, visit the airport website. Reservations and ticketing is available via www.delta.com. When booking online, select Book a Trip, click on More Search Options and enter the meeting code, NMQKL in the box provided on the Search Flight page. Reservations may also be made by calling Delta Meeting reservations at (800) 328-1111 Monday – Friday from 7 a.m. – 7 p.m. CDT. Additional fees may apply. If you need to rent a car to use during your trip to New Orleans, Hertz is offering special discounts for all CLEAN GULF attendees. To access special deals, click here. 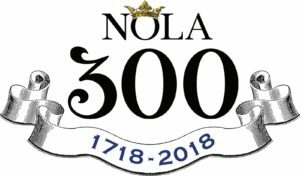 Celebrate New Orleans’ 300th Anniversary! Continue networking with fellow CLEAN GULF attendees after hours and celebrate this milestone!